Clark and Cannings were both convicted of the murders of their babies. Immediately, campaigns were launched to secure their exoneration and release, on the basis that there was no concrete evidence to prove that either woman was a murderer. The only evidence of murder, supporters argued, was disputed medical evidence. The defence teams of both women had produced their own expert witnesses to counter the claims of Sir Roy Meadow; medical opinion was very much divided. Campaigners argued that it had in no way been proved beyond reasonable doubt that Clark and Cannings had murdered their babies. Meadow’s downfall was a direct result of his claim, at Sally Clark’s trial, that the odds of more than one child from the same family succumbing to SIDS were one in seventy-three million. Statisticians came forward to say that this was simply not the case, and Clark was granted leave to appeal. It was thought that Meadow’s statistic had lodged in the jury’s minds, leading them to believe that it was as good as certain that Sally Clark was a murderer. Both Clark and Cannings appealed against their convictions, won, and were released. Professor Sir Roy Meadow was struck off the medical register for misconduct, though he was subsequently reinstated. What fascinated me about all of this was the apparent changeability of public opinion. I remember following Sally Clark’s trial as it was happening, and hearing that a respected expert had said that the odds of one family losing two babies to cot death were seventy-three million to one. At the time, a friend of mine who was desperate to have a baby kept getting pregnant and miscarrying, and none of the doctors she consulted could explain why – several miscarriages, even more tests, and no medical reason found. Doctors can’t be expected to have all the answers, however hard they try. It seemed obvious to me that there would be some families with particular genetic weaknesses or predispositions, and that those families might lose several babies while other families might lose none at all. When I heard that Sally Clark had been convicted of murder, I was surprised. I remember telling my husband that if I’d been on that jury, I’d have been heading for a vote of not-guilty from the moment I heard the seventy-three-million-to-one statistic, which was so obviously – to me at any rate – dodgy. Didn’t anyone on that jury have an anecdote similar to mine, a friend with several unexplained miscarriages? Why didn’t those jurors think to themselves: “Hang on a minute -– if there’s some undiagnosed medical issue in the Clark family, which there easily could be, then that statistic wouldn’t apply”? As soon as Roy Meadow was discredited, there seemed to be as many people queuing up to attack him as there had previously been people keen to attack Clark and Cannings. A very public division of opinion was etching itself deep into the national consciousness, and positions were hardening, as they always do when a controversial issue makes the headlines. Over several years, I noticed that everyone I spoke to about the Clark, Cannings and Patel cases, or about Professor Sir Roy Meadow and Dr David Southall, seemed to have a very firm opinion one way or the other based on very little evidence or first-hand knowledge. At no point did anyone express compassion for the ‘other side’, as it were, for a doctor who genuinely and firmly (though perhaps erroneously) believed that a woman was guilty, and whose only motive for testifying against her was to protect her surviving children. Or for a woman who, in desperation and panic, and without really knowing what forces were driving her, one day put a pillow over her baby’s face. Everyone I spoke to who believed Clark, Cannings and Patel were innocent also believed Meadow and Southall were monsters. And those who saw Meadow and Southall as the brave champions of defenceless babies saw Clark, Cannings and Patel as murderous monsters. Strangest of all, I thought, was the tendency to lump the categories together: ‘those doctors’, ‘those mothers’ – it’s seen in gang or team terms. Once I’d read everything I could read on the subject, and spoken to everyone who was willing to speak to me, I decided to put myself to the test. I took a particular case of a woman accused of murdering her babies – a case that had been reported in the media extensively – and I made a list of all the things my research had unearthed that pointed in the direction of her guilt. The list was long and persuasive. Then I made a list of all the facts I’d turned up that pointed to that’s same woman’s innocence. That list was equally long and persuasive. I was confused by this at first. Now I can see that I was naïve to have been surprised. I should have known: what we need to believe comes first. Finding the evidence to support our chosen beliefs comes second, and is an easily-achievable formality. The characters in my novel A Room Swept White, the cases of cot-death that might or might not be murder, the mothers, the doctors – they’re all entirely fictional. Ironically, this makes the novel seem much more real to me, and true to the issue that first inspired me. The Sally Clark in most people’s minds is a work of fiction; the Roy Meadow we all talk about is a work of fiction. Most of us have never met or spoken to these people; we invent them according to the needs of the stories we wish to tell. In A Room Swept White several people commit murder, others make terrible mistakes they oughtn’t to have made, and much harm is done by one human being to another. However, all the characters in the book, practically without exception, are doing their very best in painful and difficult circumstances, even the killers. Especially the killers, actually. Which doesn’t mean society doesn’t need to be protected from those who are a threat to the safety of others – obviously it does. But does it need to put all its venom into moral judgements of ‘evil’ and ‘monster’? Who is that helping? Not Roy Meadow, who is described by friends as ‘a broken man’, and not Sally Clark, who died not long after her release, never having recovered from the loss of her two sons and the horror of being demonised and imprisoned. If their stories, taken together, prove anything, perhaps it’s that being compassionate is more important than being right. 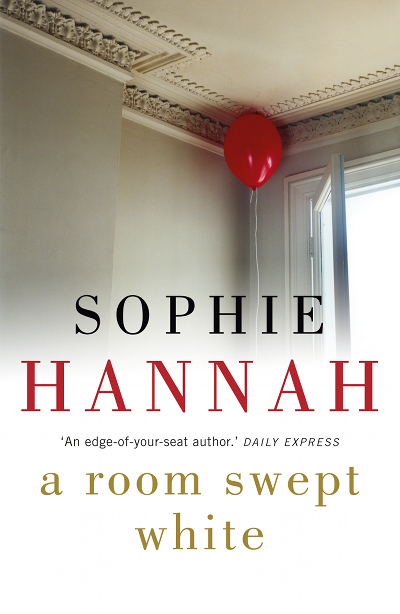 Sophie Hannah is the author of eight bestselling psychological thrillers, including Little Face, The Other Half Lives, A Room Swept White, and The Carrier. She has also written six novels in other genres and masses of poetry. 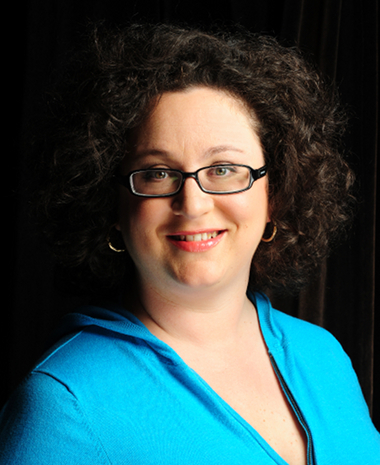 This week it was announced that the Agatha Christie estate has commissioned Sophie Hannah to write a new Poirot novel – congratulations Sophie! This entry was posted in Writing tools and tagged fiction writing, psychological thrillers, Sophie Hannah, writing tips by Judy. Bookmark the permalink.